Open Spaces is still on our minds in Kansas City. The festival showcased work that embraced the city’s creative growth giving a preview of future potential. Strong installations made the festival hard to write off entirely, and many of the works were opportunities for greater programmatic efforts. However, when analyzing the overall costs in relation to impact, it seems Open Spaces was too big for its own good. 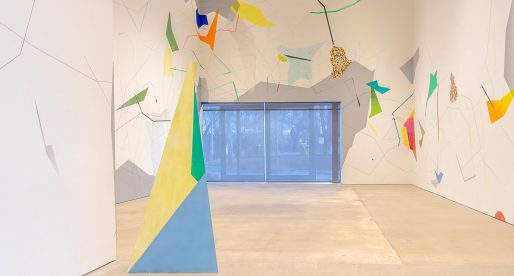 Due to a lack of collaboration, the exhibition held itself back from being foundational in the city’s larger art scene as a structure to build on for future growth. 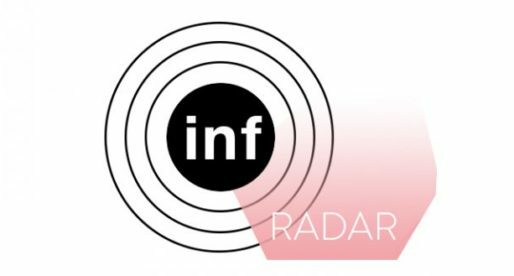 Even though it felt like a blip to some, the nine-week-long exhibition was our city’s first foray into an art fair to put ourselves on the map. 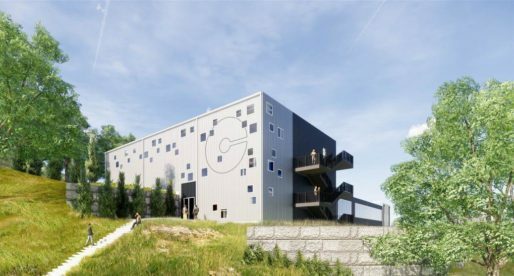 A collaboration between outgoing Mayor Sly James’ Office for Culture and Creative Services and philanthropist Scott Francis, there was optimism around Open Spaces by leaders and sponsors. Much of this optimism centered around Kansas City’s desire for inclusion in the international art community. Thinking if we play like the rest, we can be relevant to their conversation. The work being made here is sharp and thoughtful, which has much to do with the city’s ample studio spaces, affordable rent, and ability to spread out and engage in large-scale projects. Photo from Tour of Blue River Road with the BRR Investigators. It is important, to begin with the physical work, as it was the most impactful part of Open Spaces. 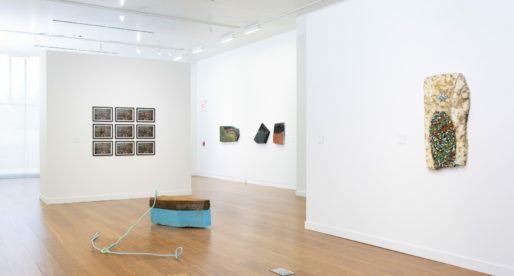 Many of the strongest installations intersected in themes of water. Water has the potential to obliterate and heal. Where humans go and settle is guided by the flow of water. 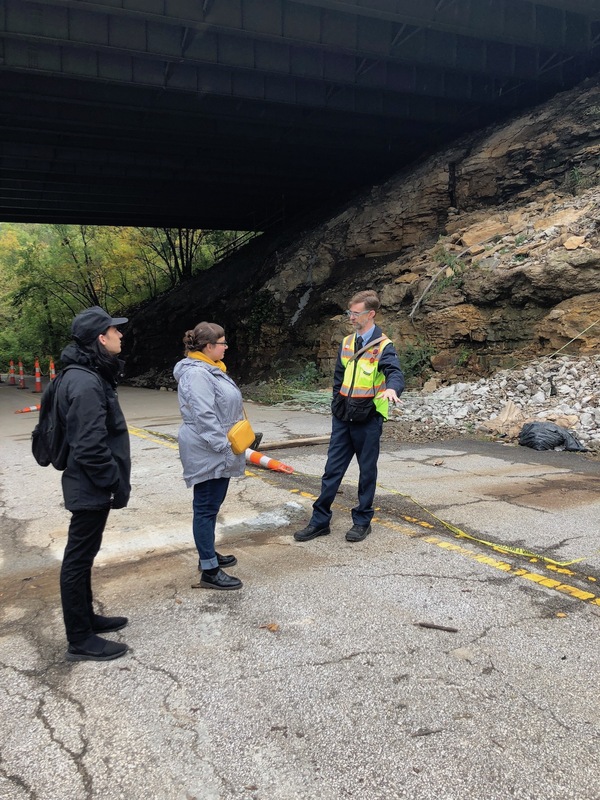 Kansas City is plagued by flooding in the city’s West Bottoms industrial district; a highway was built right over Turkey Creek, and the city itself exists at the convergence of the Missouri and Kansas River. Several of the major installations at Open Spaces respond directly to these civic and ecological issues. 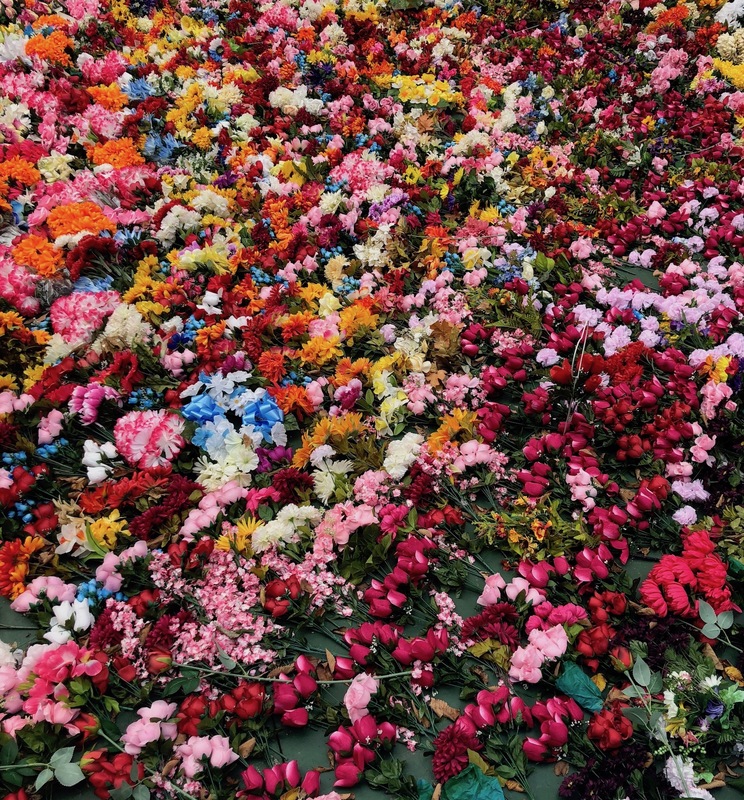 Ebony Patterson’s installation called up as part of Open Spaces. The exhibition was designed to flow people southeast to Swope Park, a beautiful and underutilized part of Kansas City. Located southeast of downtown just off of 71 Highway. After a bit of getting lost by the Open Spaces app’s directions, and the festival’s small and hard to spot signage, I made it to the head of a hiking trail that was home to an abandoned hydrotherapy pool. Ebony Patterson’s installation called up placed me in an internal scene of suspension. 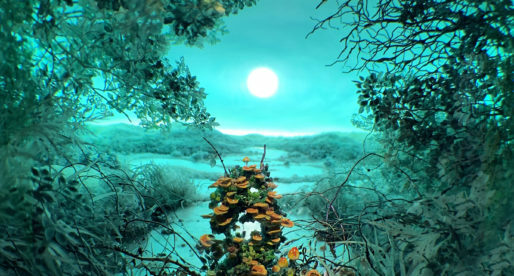 Looking at the swath of flowers at the edge of Patterson’s pool, I held my breath, feeling that I was suspended in the present; one of discomfort that often accompanies big change. 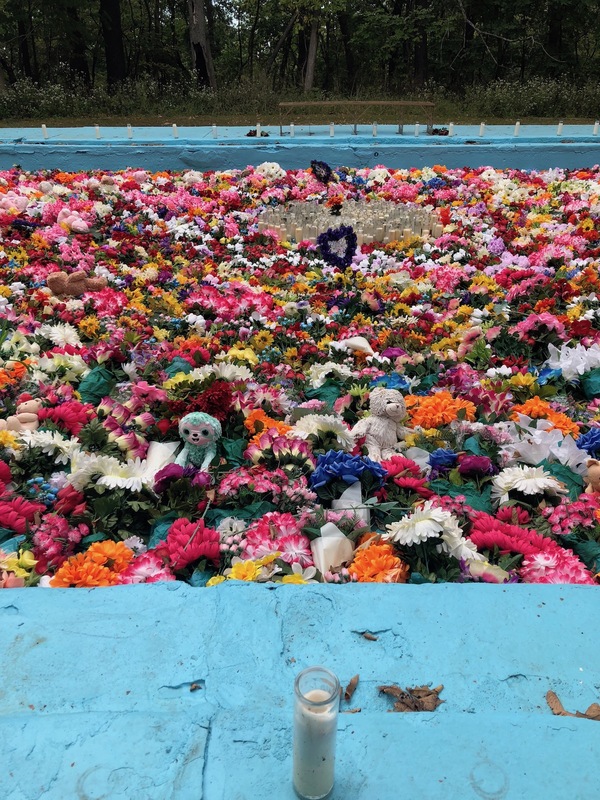 The pool, originally a hydrotherapy space for children with chronic pain, was now covered in silk flowers, a memorial to healing as a whole. Public pools in places like Kansas City were spaces of racial turmoil in the last century. This is one point where Open Spaces made an attempt to highlight the work that needs to be done in addressing inequality. Here there could have been an engaging public program, with leaders discussing ways to come together and sustain community. Unfortunately, while that was not the case, it’s important to note here that Swope Pool was a site of tension in a two-year-long civil rights case. In 1951 three people of color filed suit on the public pool, as segregation remained a “custom of the park.” While Patterson used a different pool for her project, it’s so crucially important to remember the history of inequality, and learn from our patterns to not repeat the ways in which non-white members of the community are still often culturally segregated. In our need to collectively work towards addressing these pasts and keep them from drowning us, we must constantly, and mindfully, revisit these histories. This awareness of the past was present in Nick Cave’s Hy-Dyve. 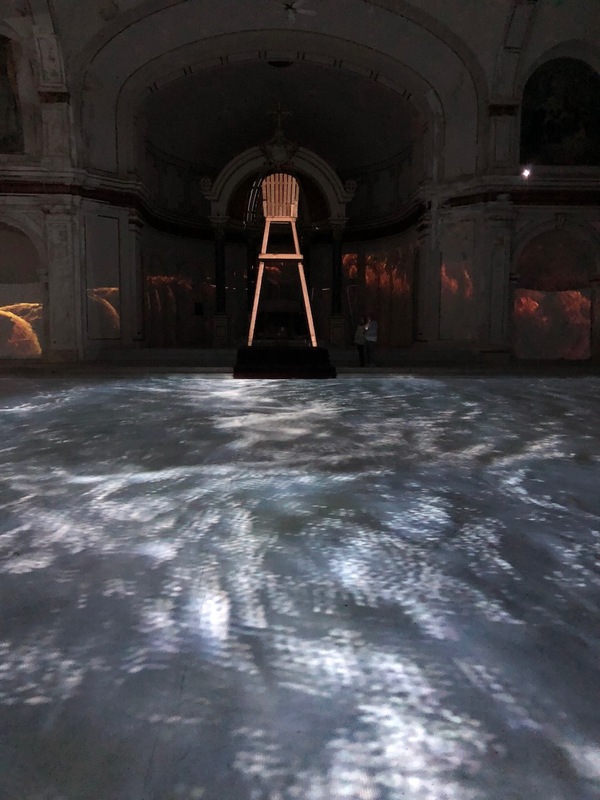 The piece was a large projection map of Cave’s Soundsuits, an experimental video performance, combined with video of rushing water along the walls and floor, installed in the old church building of the Hope Center on Kansas City’s East side. The sounds and water itself create a sense of burial by sea for the viewer in a constant flow. The piece struck me like being inside of J.M. W. Turner’s painting The Slave Ship, which depicts the ill or dying passengers of a slave ship being tossed into the sea upon the captain realizing his insurance wouldn’t cover them otherwise. Turner depicts the horror of bodies being thrown overboard highlighting the gross mistreatment of black bodies. This mirrors the continual displacement and discrimination of people of color that still exists in our city. Both Cave and Patterson’s pieces enveloped me in emotion; not in a place of mourning, but in a place of awareness, stillness, and recognition of the present instability. Through a deep desire for cleansing and renewal, we honor these feelings — the universal human experiences of suffering, pain, anger, and agony— there is a hope that we can grow into something more. Water can corrode the strata of rock that has built up over centuries by the sediments of oppression, separation, and hate. Nick Cave’s Hy-Dyve as a part of Open Spaces. It is up to us to rebuild what corrodes and create new systems that better serve communities with fairness and equality. Occasionally we get to watch as the structures that were built wash away. This idea creates a sense of optimism when addressing oppressive power structures, in that we can realize that not everything built is infallible. The Blue River Road Investigators took me on a tour that proved that point. Cities often build roads and bridges in areas that the earth, in this case, The Blue River, decides to remove. 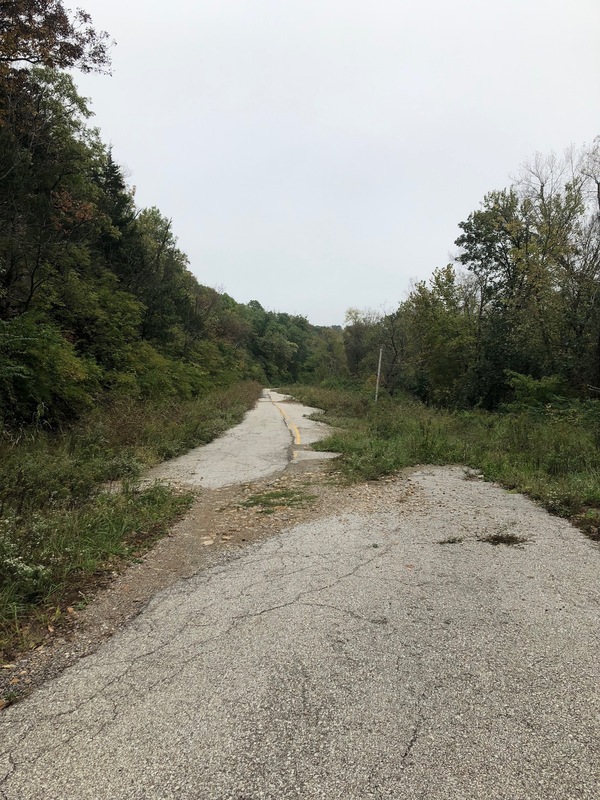 The project, an official part of Open Spaces, pointed out the absurdity and beauty of what is now dubbed the “Annex” of Blue River Road, an entirely impassible section of roadway that has been washed away into the river. This piece was an incredibly clever move by the BRR Investigators to use funding and support from Open Spaces to point out past failed civic projects. On the tour, we discussed the current deteriorated state of the roadway and our conversation brought some hilarious and occasionally practical repurposing ideas to consider. The road signs that have become canvases or target practice, new mountain bike trails have formed alongside places for teen debauchery. Ultimately, the BRR Investigators don’t provide a solution but probe us to look deeply into the trust we put in our institutions to maintain infrastructure and prevent decay. 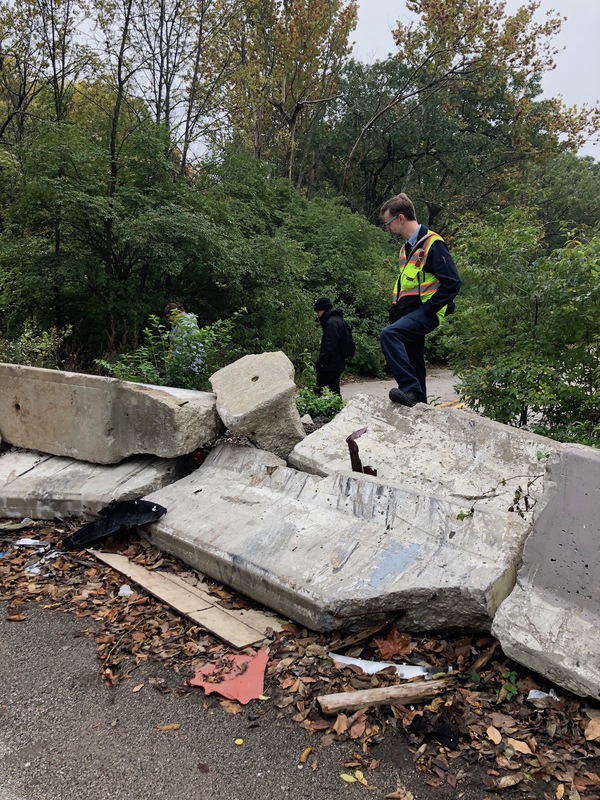 Trey Hock, one of the BRR Investigators stands atop the damaged barrier at the start of the Annex of Blue River Road. Brazilian artists Leonardo Remor and Denis Rodriguez’s video piece at the Belger Art Center ran on a loop in a dark room for thirteen minutes. Inside the gallery, providing respite from the summer heat, Waterfall as Cinema looked at water as a place for civic purpose and peace. A staircase in a Brazilian city is purposefully flooded as an act of cleaning and renewal. The water rinses this busy gateway and creates a momentary waterfall, turning a city passway into space of beauty and wonder. These artists all proved that these larger cultural discussions can be provoked through making and sharing the work with the public. The questions remain, however, if the scale of Open Spaces was too big to achieve a clear purpose for the city. 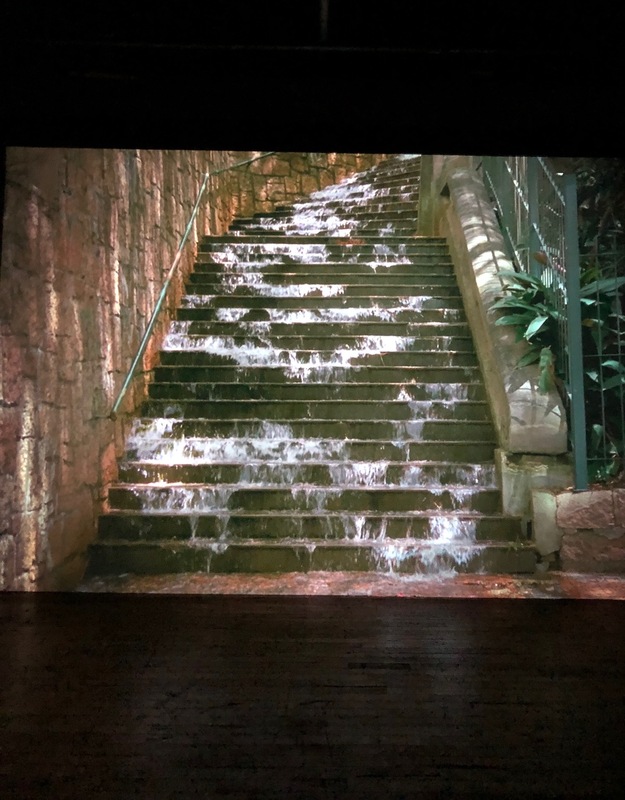 Waterfall as Cinema Leonardo Remor and Denis Rodriguez at the Belger Art Center as part of Open Spaces. The festival can be summed up through the cheeky title of Jill Downen’s work which highlighted one of the most elaborate monuments in Swope Park. An Architectural Folly from a Future Place lies directly next to Swope Memorial, a naturally occurring point of beauty and sweeping vistas of the city. I think it is foolish for Kansas City to build an entirely new festival to “put us on the map.” Looking within the city itself, there are plenty of artist-run organizations and nonprofits working to do this already. Why couldn’t they have led this exhibition? The scale of ambition with the festival was solidified in a plaster casing, a single point perspective led by Dan Cameron, the sole curator and artistic director for the event. He came to Kansas City with international curatorial experience but limited knowledge of what was happening here. Ultimately, this impacted the opportunities for collaboration that would have increased both the financial and cultural impact. As an arts organizer in Kansas City’s artist-run community, I have the privilege of access to the already existing scene, and what it provides to the city. I also learned how much the art community values programming, and that all artist-runs know how make things happen with very little. While I recognize the city’s intentions, by boosting up local artists up alongside prestigious international conversations, we can cultivate a dialogue worth talking about. That is the mission of many small art organizations already that bring artists in on shoestring budgets and facilitate dynamic programming that engages with our art scene. Underneath my love for all the works I had seen, bubbling to the surface was my own wide-eyed astonishment at the money being spent. Yet very few of these events were directed towards serving local artists. Dan Cameron was a paid curator for this event. 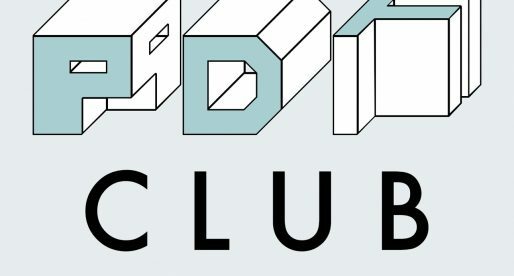 Artists who run galleries and alternative spaces are expected to foot the bill and volunteer their labor. It is seen not as a job but an occupation. This distinction classifies the labor of art, and the cultural spaces around it in the artist-run realm, as something to occupy our time. These artist-run spaces are some of the deepest advocates for the community. They create contexts for and conversations about what artists are exploring. They are rich in risk, advocate for the sticky, the uncomfortable, the experimental, and the avant-garde. Kansas City’s art history is dependent upon them. Yet these spaces are becoming fewer and fewer, as rents increase wildly and the labor of the art workers involved follows a distinct expectation of volunteerism. 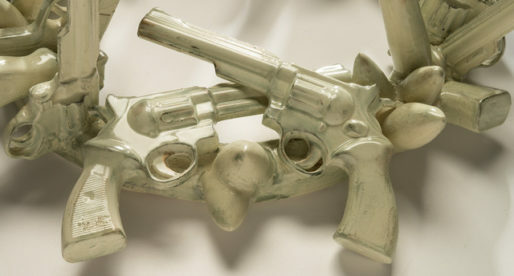 It isn’t the art that is the problem, it is the systems that devalue the labor of cultural work. These are the actions that give the city its wealth as cultural capital. Artists create these spaces to provide alternatives to the status quo, and to make space for other artists in their community to grow and deepen engagement. The emotional and physical labor of running art spaces, and making art, is devalued on an international level. While this isn’t just a Kansas City problem, locally, grants for this work often don’t exceed $6000/yr in funding, and when they do they’re highly competitive. 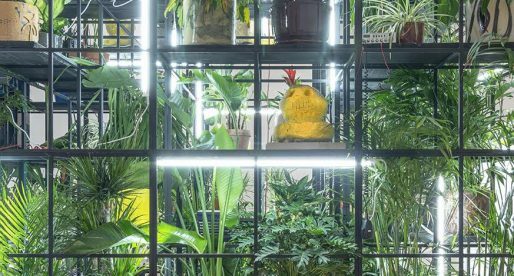 The standards that artist-run spaces are held to in terms of audience reach metrics and local cultural impact are much more scrutinous than the evaluative strategies currently being placed on Open Spaces. There needs to be a paradigm shift in the way that the city invests our tax dollars, and whether the community really needs this type of event. 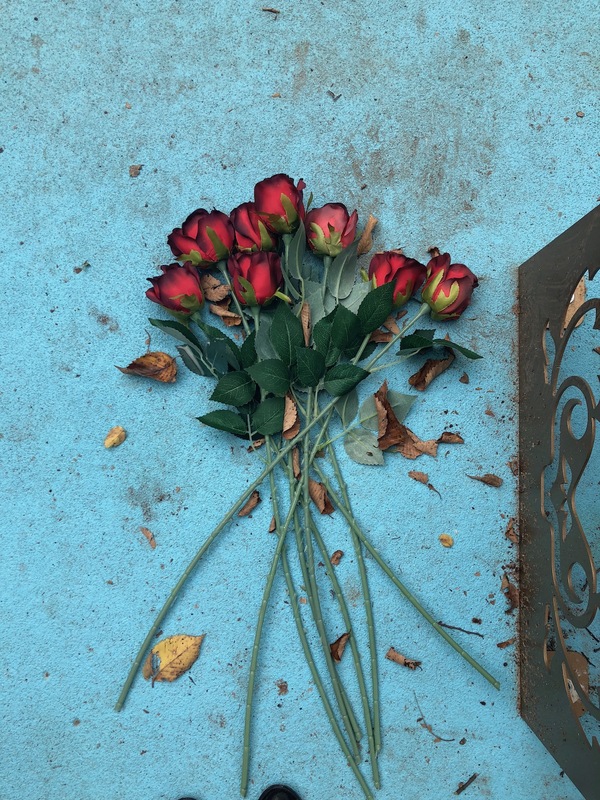 a bouquet of silk roses and dying leaves next to a bench near called up. Open Spaces worked directly with the city, and because of that, there were restrictions on what could count as a space for partner organizations. While there were several partnerships with organizations I would consider artist-run, such as Charlotte Street Foundation, other spaces couldn’t be included due to issues of accessibility or staffing. Disclosure: Informality applied to be a partner with Open Spaces as a critical writing and educational outlet, and we were denied funding. Most of these artist-run spaces, the ones who give Kansas City its avant-garde hot sauce, were not included in the program. Getting down to brass tacks, I had to ask the question: How many art spaces could we have funded with the money from Open Spaces? 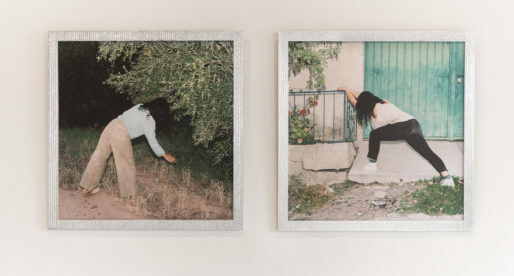 The average artist-run exhibition costs $1500 to put on. That would fund 333 ⅓ exhibitions a year. 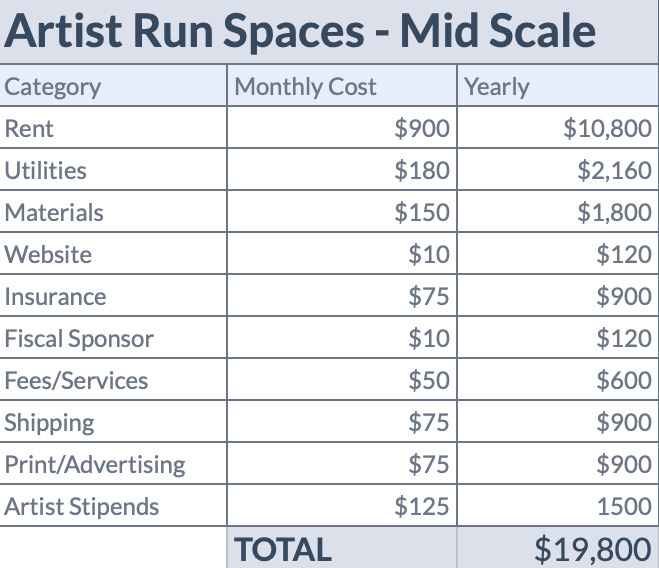 The average budget for an artist-run space (that pays for exhibitions, pays artists, and covers the full cost of rent and exhibition overhead) with current rent prices in KC, MO is roughly 20,000/yr That would fund 25 spaces a year or 4 spaces with a budget of 125,000 a year. 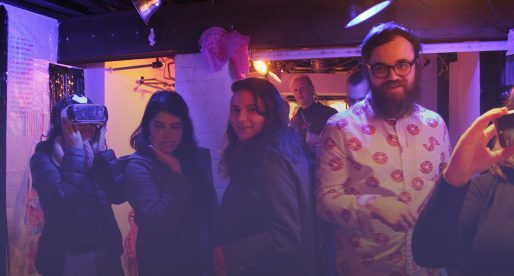 While not all artist-run spaces require that level of funding to operate, it would allow those spaces overhead, hiring of two full-time staff members and have plenty of funding for part-time staff, paying artists, and additional overhead. It’s unproductive to simply call out poor planning. I feel that the art community was still impacted by the exhibition as a whole, even though there wasn’t as much inclusion and collaboration as ideal. 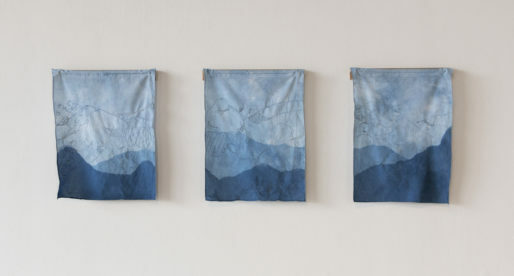 While the funding and participation from artist-run spaces were minimal, the work made an impact for those who saw it. Trey Hock, one of the BRR Investigators stands underneath 635 near the North Annex of Blue River Road at the end of our tour. Now, post Open Spaces, we have an opportunity as an art community to recenter and consider what we want from future collaborations with the city to look like. We can ask for there to be a curatorial panel and vouch to be on it, we can bargain for more participation from these small artist-run spaces, we can give a voice to more marginalized communities. In order to be more relevant internationally, we need to focus on how we can be the best locally. How can we get involved in the future of this project? We can get together and collectively work alongside the team to create more productive programming. It is crucial that we, and the city, be more intentional moving forward, and know the types of conversations we want these events to co-create, rather than set the path for future erosion.